Last night, beauty brand Carol's Daughter was a proud sponsor of the 4th Annual WEEN Awards (Women in Entertainment Empowerment Network), a celebration of the outstanding accomplishments of women in various areas of business and philanthropy. Over 300 influencers gathered at New York's Helen Mills event space to honor seven powerful women: Carol's Daughter founder/CEO Lisa Price, hip-hop legend MC Lyte, financial expert Lynn Richardson, radio personality Angela Yee, recording artist Sevyn Streeter, fitness mogulJeanette Jenkins and filmmaker/artist Vashtie Kola. Hosted by WEEN co-founder Valeisha Butterfield-Jones and "ARISE Entertainment 360" co-host Shannon Lanier, the WEEN Awards featured VIP presenters Cheryl "Salt" James, Gary Dourdan, Sharon Carpenter, Karen Civil, Yandy Smith, Lil' Mama, and Aeshia Branch. 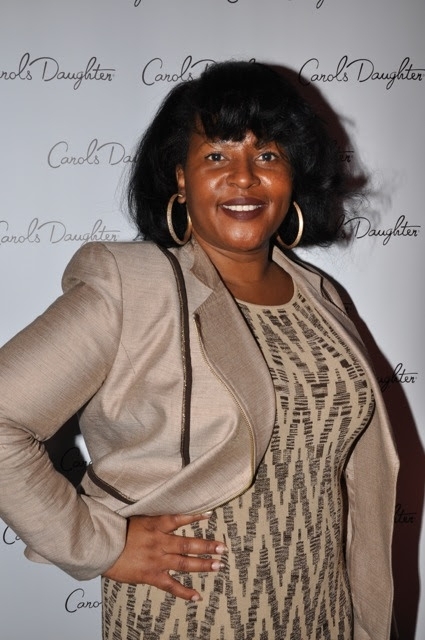 Attendees were treated to Carol's Daughter samples, while sharing personal testimonials about the brand at the "Carol's Daughter Experience Wall" hosted by reporter Eeshe White. Additional guests included Monami Entertainment CEO Mona Scott-Young, REVOLT CEOKeith Clinkscales, celebrity stylist Ty Hunter, recording artist Justine Skye, singer/songwriterBridget Kelly, NBA baller Dahntay Jones, singer/model Africa Miranda, tv personalityRashidah Ali and JUICY Magazine editor Paula Renfroe. Special thanks to WEEN and the Teknique Agency! For more information on Carol's Daughter, visit www.carolsdaughter.com or follow them on Instagram and Twitter (@CarolsDaughter). NECOLE BITCHIE DROPS SOME SERIOUS KNOWLEDGE ABOUT THE BLOGGING INDUSTRY! Beyonce New music - 7/11 Get a first listen .